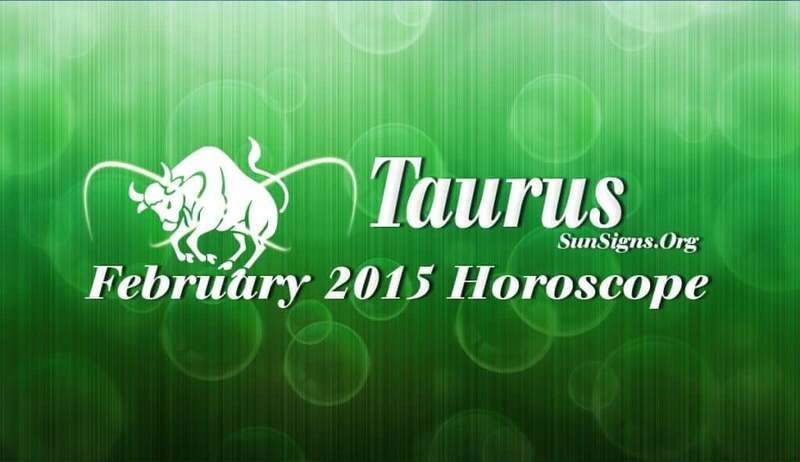 The February 2015 Taurus Horoscope predicts that career issues will be prominent this month. Family and love life will take a backseat. Overseas travel is on the cards. You will also get opportunities to study further. In February 2015, the influence of other people will recede. Your will-power and independence will start dictating your actions. Still you may have to depend on others to some extent for the time being. Your sensible ideas will be appreciated by others. The Taurus career horoscope for February 2015 foretells of a delightful period with lot of progress being made in your profession. If you are contemplating any shift from your present career, this is the ideal time to do so. You will also work out your strategies for the future of your job or business. The financial prospects in February 2015 for the Taurus zodiac sign are excellent. You will have the support of your superiors and family members in whatever you do. Promotion in the existing assignment or a better job more money is probable. You will make profitable investments during the month. Also read what the horoscope 2015 predicts for you. Love will be more passionate in February 2015 for the Taureans. You will dominate over your partner. People already in committed partnerships will face some conflicts. If you are keen to have children, may be you can start planning now. On the family front, the emphasis will be on spiritual aspects of life and you will indulge in helping others. This will also be the month when you will want to attain spiritual consciousness. The Taurus February 2015 horoscope predicts that health will be challenging because of your personal ambitions. Avoid stress and stick to a regular routine.